Ok, I'll start with the pattern. First off, it's a free download! Double win! I have no problem with the 'print at home' option when it's for small things like this. 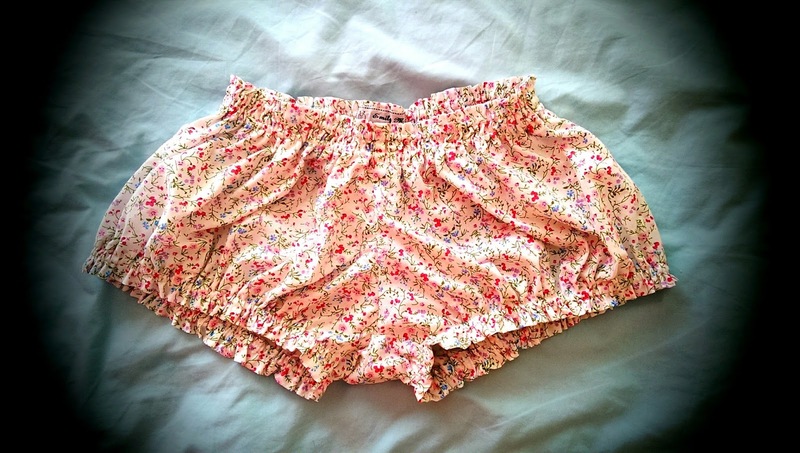 It's a reasonably simple and incredibly satisfying sew - I really love the elastic casings. So much so that I ditched the ribbons and just went with elastic for the legs as well. 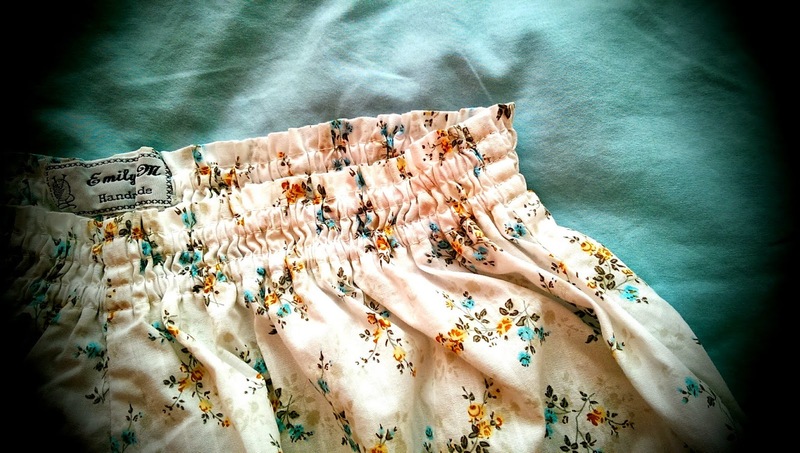 In terms of other modification I added a couple of inches to the waistband; my muslin was incredibly low-rise at the centre seam - they were either decent at the front or the back but not both! Also, the legs have some weird curve in that makes folding over the allowance for the cases a bit of a nightmare. I ended up pretty much just folding it out so it may as well have just been a straight line. I'm going to go back and change it on my pattern pieces when I remember. I french seamed the crap out of these little guys. French seams everywhere. I love how finished it makes them look. 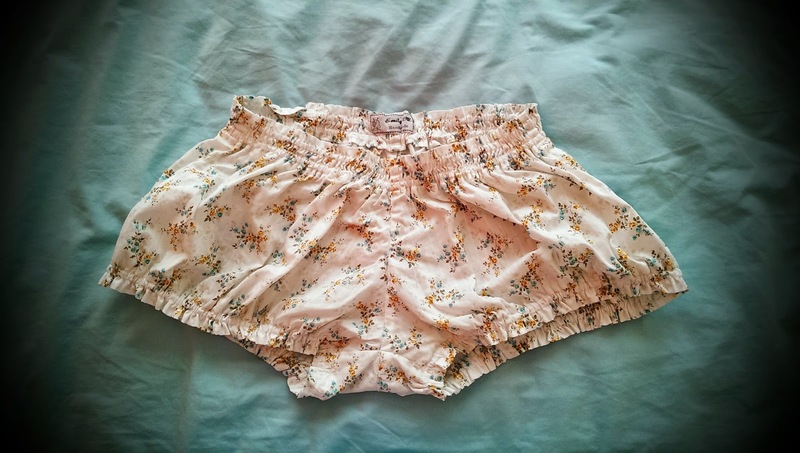 I made two pairs! 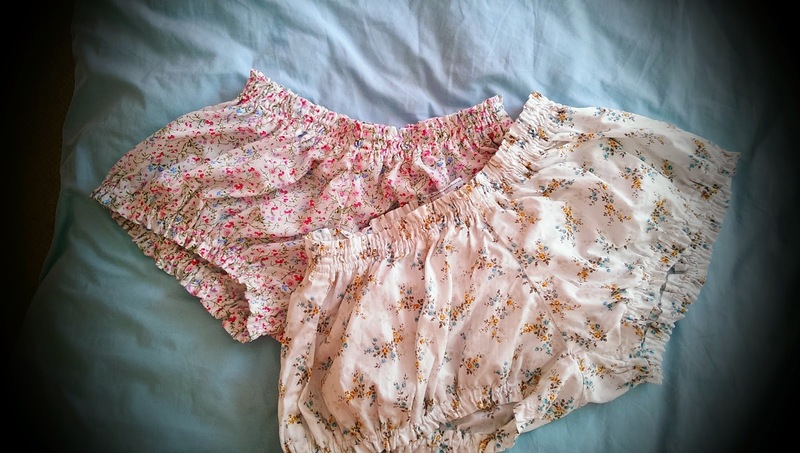 Both out of cheap and cheerful polycotton in floral prints. Perfect for summer. And finally here's me showing off my less than model like body. I struggled to find photos of what these actually looked like on people when I was snooping around the internet so thought I ought to do some good. You can see how short/low rise they are. And I have giant thighs and they don't look too bad, so don't be put off if you're on the 'big boned' side, like me.